What types of quizzes can I take in a course? Your online course can contain a variety of quiz types. 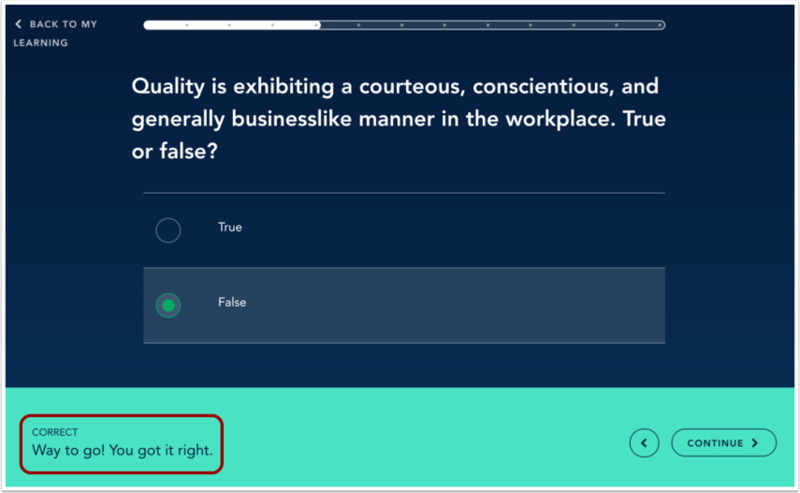 Course quizzes may display feedback created by the course author. If your course contains a question that asks you to match terms and definitions, the question is a vocabulary quiz. Click the circle next to your answer choice . Then click the Submit button . Note: Some quiz questions may contain distractors, so read the question carefully. If your course contains a question that asks you to match two statements, the question is a steps in a process quiz. This means that the question statement is a particular step in a process and needs to be matched with its step description. Click the circle next to your answer choice . Then click the Submit button . If your course contains a question that asks you fill in the blank, the question is a factoid quiz. Factoid quizzes can also appear as True/False questions. 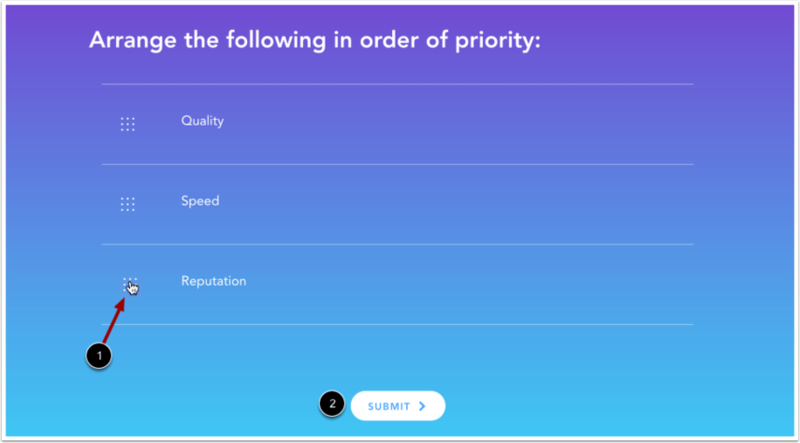 Click the circle next to your answer choice . Then click the Submit button . 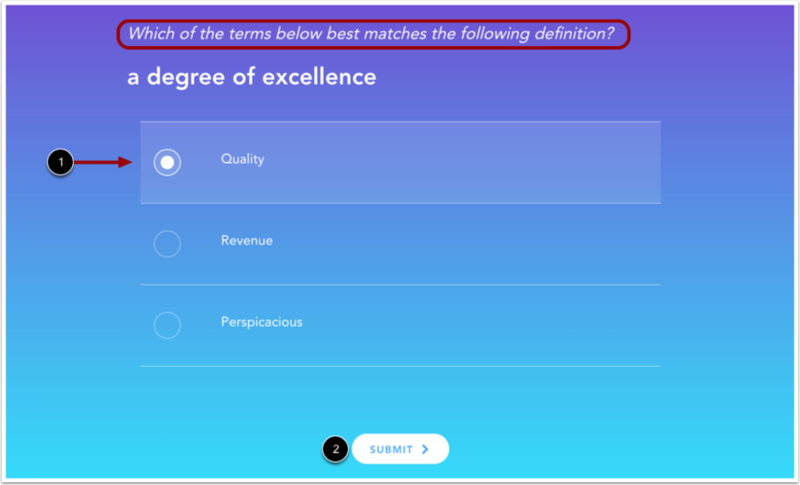 Multiple choice quizzes contain a question with circles next to the listed answers. Click the circle next to your answer choice . Then click the Submit button . If your course contains a question with squares next to the answers, the question is a multiple answer quiz. More than one answer may be correct. Click the square next to your answer choice(s) . Then click the Submit button . If your course contains a question with drag handles next to the answers, the question is a sorting quiz. 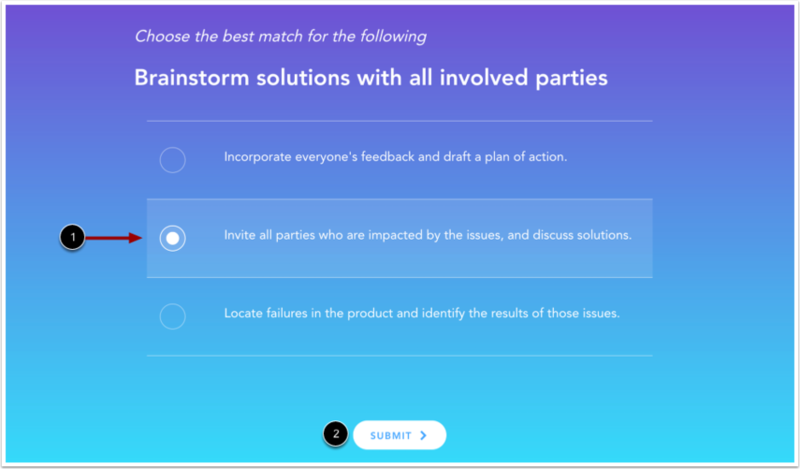 Drag and drop the answer choices into the correct order . Then click the Submit button . If your course contains a question with a text entry field, the question is a short answer quiz. 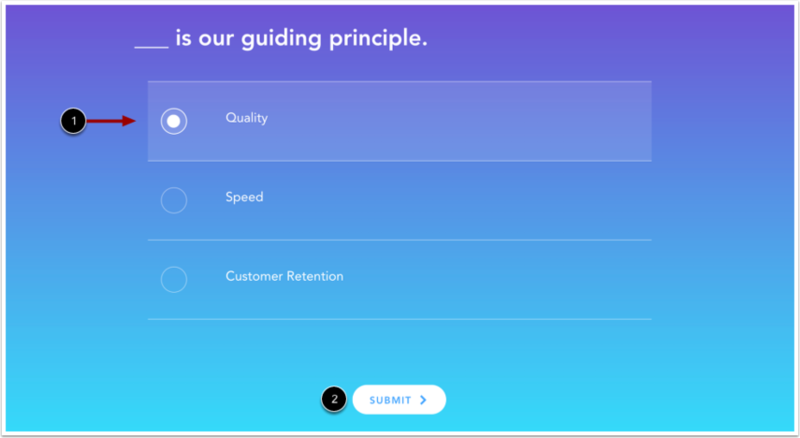 Enter your response in the Enter your Answer field . Then click the Submit button . 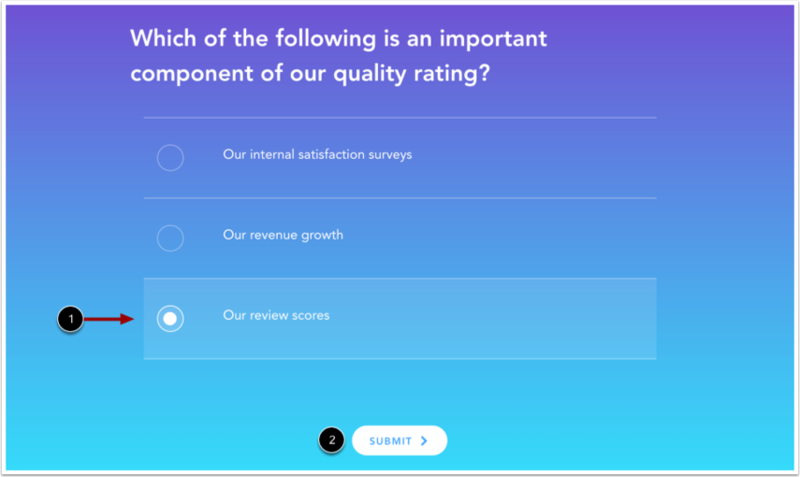 Your quiz may display feedback created by the course author. 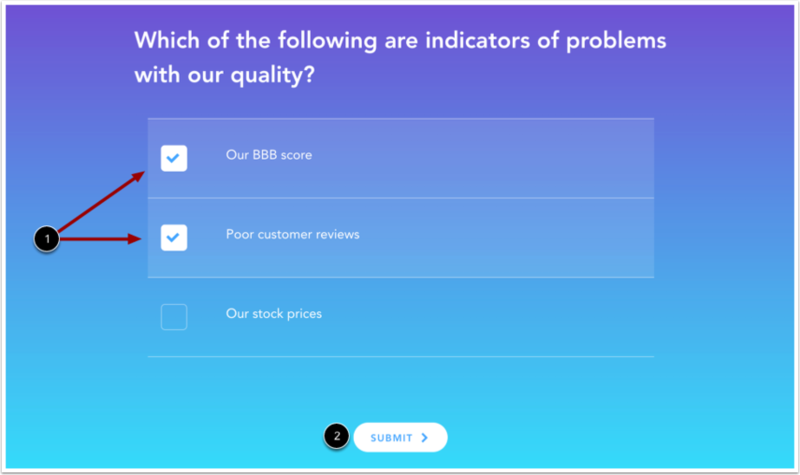 Quiz feedback can be customized to provide additional information for correct and incorrect answers. Previous Topic:How do I navigate an online course? Next Topic:How do I navigate a Program? Table of Contents > Learners > What types of quizzes can I take in a course?